To be completely honest, I bought a ticket to this show based on all the coverage that Hospitality had been getting (especially after the track "Betty Wang"). 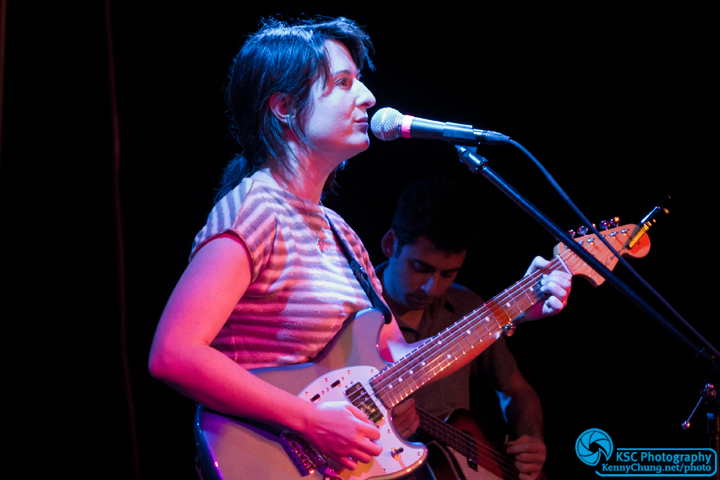 I thought overall, it was a solid two-act show and the crowd seemed really engaged. Can't say it was the right vibe for me, though, but I respect what they do. Hospitality started out the night. 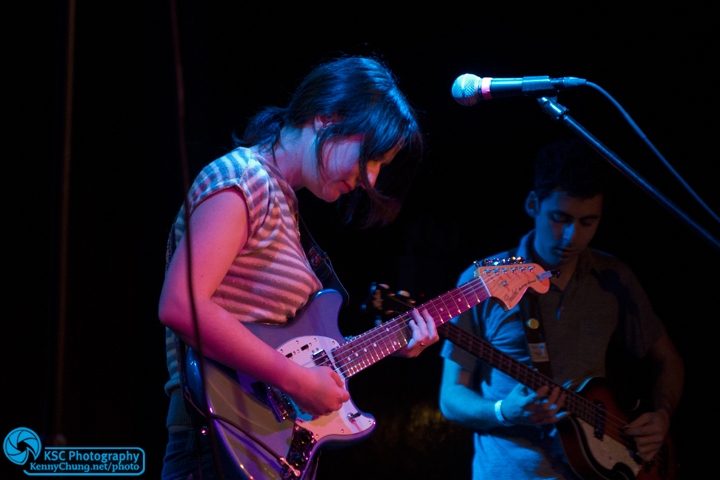 Here is Amber Papini rocking out on her Fender Mustang Special and bassist Brian Betancourt with his Hofner violin bass. 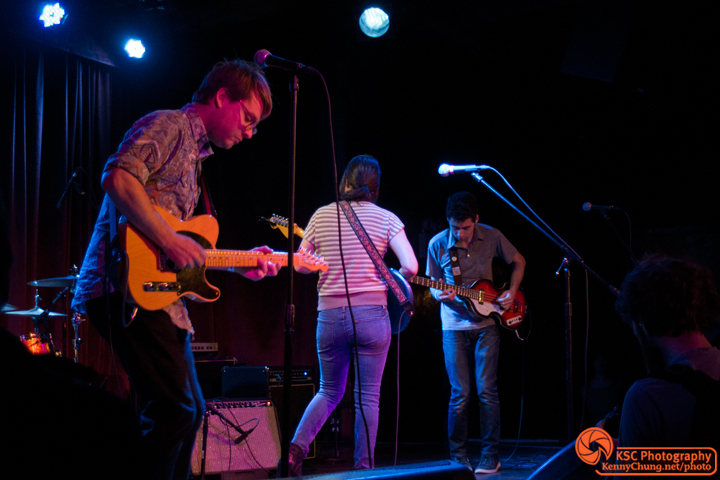 Hospitality on stage at The Bell House. In the foreground is guitarist Nathan Michel with his Fender Telecaster. 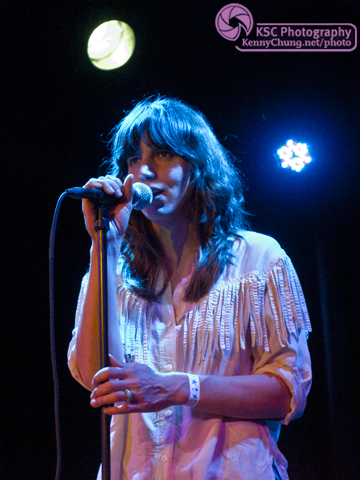 Eleanor Friedberger took to The Bell House stage next armed with her Fender Stratocaster and some cowboy boots. 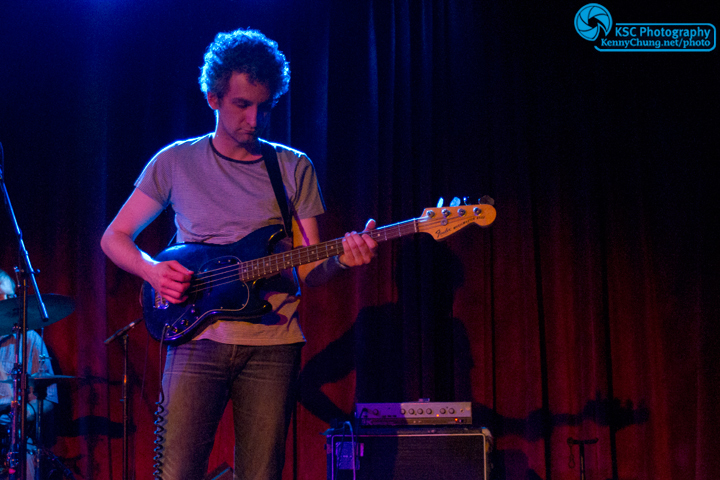 Eleanor Friedberger's bassist playing his Fender Musicmaster Bass. 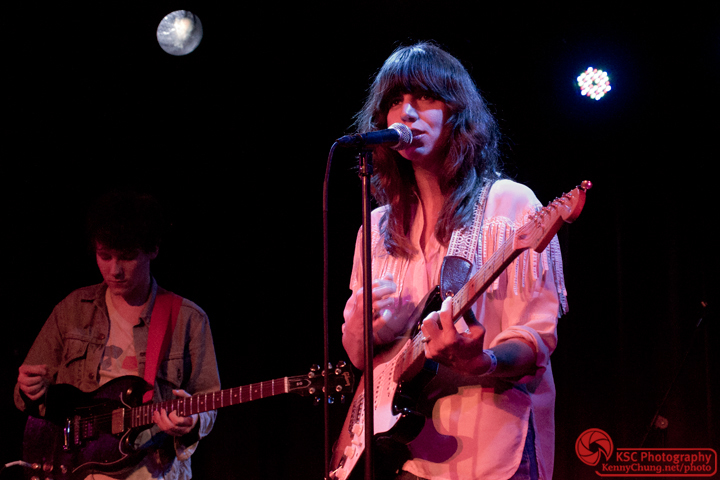 Eleanor Friedberger put down her guitar for a few songs, but did pick up some egg shaker/maracas (not pictured).